Vision is vital to the welfare of a person. Doesn’t matter what you are doing in life, without a vision you will fail or at best just get through. Many marriages end because the couple had no vision of where they were going. Many business never make it out of the first year because they had no vision to see beyond the beginning. 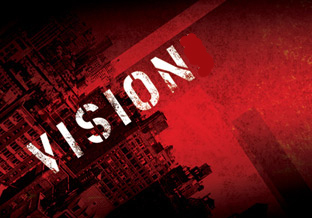 No where is vision as important as in the life of the church. The Bible says “Without a vision the people perish”. Vision is what drives us, it is what pushes us pass the hard times of life and helps us overcome obstacles that have been placed in our way. In 2010 throughout the month of January we have been talking about vision and what we believe that God has for us at South Decatur. In 2009 our vision included the building of a new Life Center which would be able to house new ministries and give us the room to expand. We have now seen that vision come to past and it is really awesome to see all that God has done through that building program. With this part of the vision complete, it is time to cast the vision farther out into the community. This year it is our goal to get more involved within the community and let the people of Decatur know that we are here ready to serve them. I believe that this is going to be the greatest year in our church’s history. God has blessed us so much and there is an energy in the church, and people are ready to do the will of God like never before. Vision brings excitement and we are excited about what God is about to do in our churc.